This panorama has been created to demonstrate how interactive panoramas can be used for agricultural machinery as an entertaining and intuitive tool for marketing and customer training. The cabin shown here is that of a Claas combine harvester, it could have been any other cabin of a high-tech machine. Press the two Engine Start button to fire up the engine! How it was done: All photography has been done with the camera remotely controlled via a laptop computer. The resulting photos have been processed using focus stacking software. The resulting images have been edited, then stitched together, edited again, and then turned into a spherical panorama. This interactive panorama exists in two different versions: If HTML5 is supported by the browser, the HTML5 version will be used. In case HTML5 is not supported, and the Adobe Flash player is installed, the Flash vesrion will be usd. 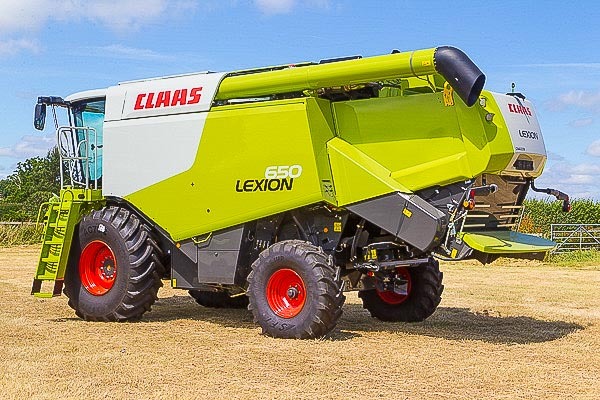 This panorama shows the cabin of a Claas Lexion 650.